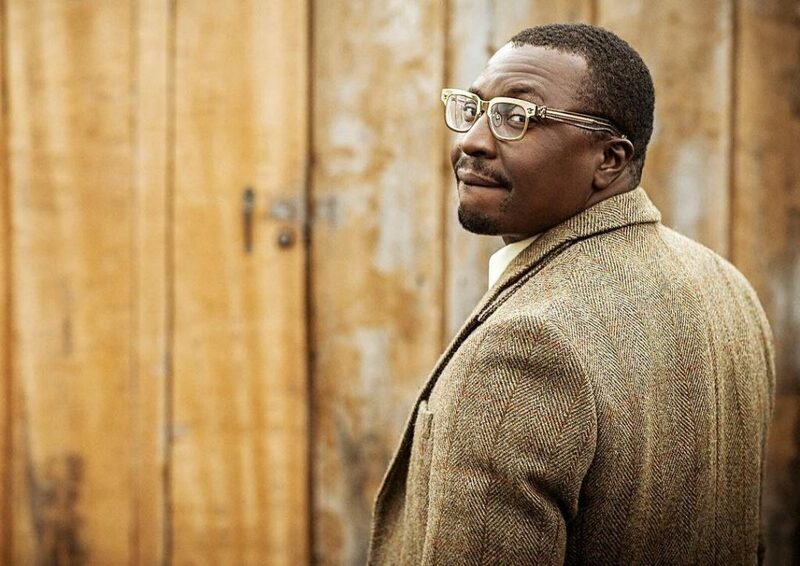 Popular Nigerian comedian, Ali Baba was spotted at Senate President, Bukola Saraki’s daughter’s wedding recently, and fans have called him out, referring to him as a ‘hypocrite’ for doing so. 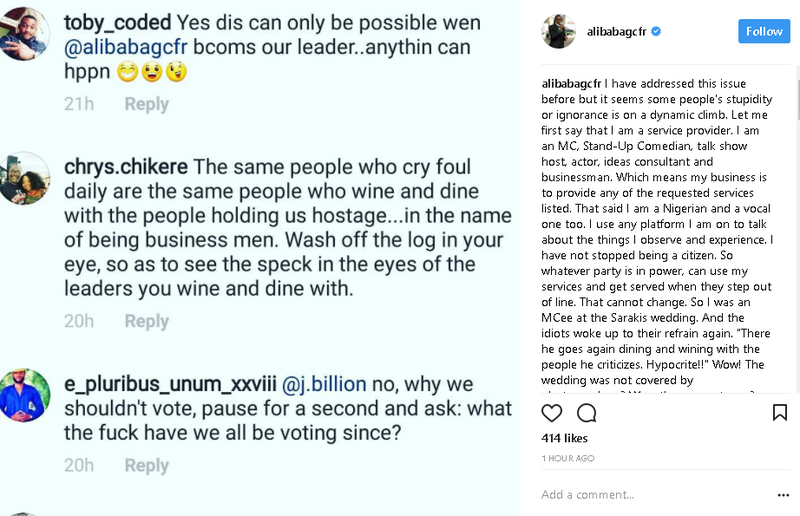 But according to the comedian, nobody has the right to call him out because he is the premiere standup comedian in Nigeria, in addition to being a talk show host, actor, ideas consultant and businessman. Which according to him, means his business is to provide any of the requested services listed. “I have addressed this issue before but it seems some people’s stupidity or ignorance is on a dynamic climb. Let me first say that I am a service provider. I am an MC, Stand-Up Comedian, talk show host, actor, ideas consultant and businessman. Which means my business is to provide any of the requested services listed. That said I am a Nigerian and a vocal one too. I use any platform I am on to talk about the things I observe and experience. I have not stopped being a citizen. So whatever party is in power, can use my services and get served when they step out of line. That cannot change. So I was an MCee at the Sarakis wedding. And the idiots woke up to their refrain again. “There he goes again dining and wining with the people he criticizes. Hypocrite! !” Wow! The wedding was not covered by photographers? Were there no caterers? Were there no event planners? Did they not use an airline to fly into Lagos? How about the decorators? There was media coverage. All newspapers and magazines. Even the publisher of Thisday and owners of Channels Tv. They attended and provided services. What about the hotel and venue? They provided services. Fashion designers. Jewellers. Cake makers. Drinks and food. Printers. Security services. Makeup artists. Live bands, sound engineers… They all came to offer their services. Just like I did. When these politicians steal us blind, don’t lawyers represent them in court? They are providing services abi? But fools like this @Chrys.chikere can’t phantom that. Don’t these politician attend the same churches that you attend? In the presence of God? How many churches have sent them out? Or excommunicated them? But ALI BABA being an MC at their event is the reason our economy is this bad. Even when ALI BABA tells them more truth than some of your pastors, that pray for them to succeed.